Hello, dear readers! I hope you are all having a wonderful Sunday! I turn a young 41 today and am very happy to be hosting an interview with author Ken Czech, who is currently on blog tour for Last Dance in Kabul. It's always a good birthday when you get to talk books :) I do hope you will enjoy our interview, and don't forget to enter to win a copy of Last Dance in Kabul! Hello Ken and welcome to Passages to the Past! Thanks so much for stopping by today to talk about Last Dance in Kabul! Hi Amy. Thanks so much for inviting me to Passages to the Past. To begin, can you please tell us a little about yourself and Last Dance in Kabul? Well, I retired from the classroom about six years ago. I'll admit I do miss my students, but I don't missing grading papers. 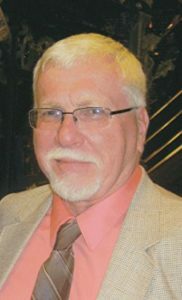 Throughout my teaching career, both in secondary education and at university, I've been writing everything from short stories to magazine articles to books that examined the historical literature of exploration and sport. But academia is behind me, and my passion has turned to writing fiction. 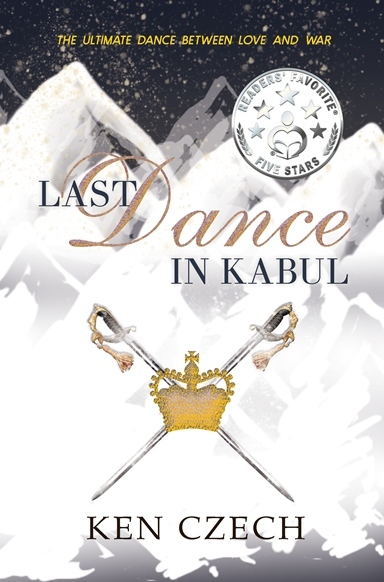 LAST DANCE IN KABUL is my second historical novel. What inspired you to write Last Dance in Kabul? Stories of desperate last stands against overwhelming odds have always piqued my imagination. As a kid, it was Custer's Last Stand and the Alamo. When I first saw the famous painting by W. A. Wollen titled "The Last Stand of the 44th Foot at Gandamack", I wanted to know more about why a ragged group of British regulars in 1842 were about to engage bands of Afghan fighters in a most inhospitable looking mountain range. What type of research did you do for writing Last Dance in Kabul? My research included reading primary source accounts penned by two survivors of the Kabul catastrophe as well as several secondary sources written by well-grounded historical writers. Maps of the region showed mountain ranges, passes, and desert-like areas. Especially important in my research was a map of Kabul as it existed in 1841-2. I also read recent books written by veterans of the war against the Taliban to become more familiar with tribal conflicts, and to get a better sense of weather and terrain. My hero (Reeve Waterton) and heroine (Sarah Kane) are truly disdainful of each other. After reaching Kabul, Reeve is practicing his fencing techniques. Sarah barges in to watch, then challenges Reeve to a match. Unknown to him is that Sarah is an expert with the epee. When she defeats him, it becomes more of a sexual challenge than a sporting event. I think I labored over one of the final scenes the most. Sarah and Reeve managed to escape the slaughter of the British army in the mountain passes outside of Kabul. When Reeve is injured, it's up to Sarah to call upon both her inner and physical strengths to save him. I wanted the scene to reflect grittiness, pain, and fatigue, but also wanted my two characters to experience tenderness, care, and a burgeoning love. It was especially important to me that Sarah demonstrated her spirit and assertiveness without coming across as Wonder Woman. Wow, that goes back a long way, Amy. I think I was in seventh grade (ca. 1962) when I wrote a little story in the vein of Edgar Rice Burroughs. As I recall, the characters were stereotypes, the language stilted, and creating a battle scene was most important. I actually wrote a full-length fantasy novel in high school (about 50,000 words), thought it was great at the time, and now find in laughable. There is little doubt in my mind that my biggest challenge has been in finding an agent to represent my work. In this computer age it's easy to delete form rejection letters with the stroke of a key. If I had printed each rejection, I could easily have wallpapered our living room with them. I've had more success in publishing with small presses, and thank them immensely for their support. I can answer that in two phases. I've always enjoyed reading fantasy and science fiction, and have been inspired by the story telling genius of Edgar Rice Burroughs and Andre Norton. As I have turned to writing historical fiction, I've thoroughly enjoyed the Napoleonic and Saxon novels written by Bernard Cornwell, and William Dietrich's novels about his roguish character Ethan Gage. Because I border on antiquity, Amy, I have to delve back a bit. Around 1961, the movie "El Cid" debuted starring Charlton Heston and Sophia Loren. Robert Krepps wrote a novel of the same name based on the screenplay of this ode to this medieval Spanish warrior. I've read it many times, and there are scenes that still burn brightly. I recently finished Colin Falconer's "Colossus," the story of a war elephant and its attendants during the time of Alexander the Great. It was a read wonderfully evocative of time and place, and mixed with a bit of alternative history. Books have been a part of my life since I can remember. Most folks would not know that I collect antiquarian books related to exploration and sport, particularly of the 19th century. Tied to that is my small business of selling books related to those themes, and I'm happy to say that I've sold books to readers in twenty-one different countries. I think the third thing would be that my wife and I are very fortunate to have built our house on an abandoned granite quarry with several water-filled granite pools and tons of wildlife. I've taught history for over thirty years. There are so many wonderful and interesting stories that crop up throughout history that might garner a paragraph or two in non-fiction histories. Invariably, I wanted to know more. For instance, in my first historical novel "Beyond The River Of Shame," real historical characters Samuel and Florence Baker set off to explore the sources of the Nile River in the 1860s. Sam purchased Florie at a slave auction, and though he wrote several books of their adventures, he never mentions her by name nor does he reveal their personal relationship. The strictures of stodgy Victorian era society undoubtedly prevented that, so I tried to create that relationship in my story. Perhaps the 19th century holds the most attraction for me. Yes, I studied it and taught it, but it was also a period where mankind quested to discover the unknown. Because modern luxuries and conveniences were not commonplace, it has been a challenge to imagine walking for miles through an African swamp, or scaling the peaks of the Hindu Kush relying on physical strength and perseverance. No cell phones or microwaves back then. KC: Amy, I love reading, so my nose if too often in a book. My wife and I enjoy the tranquility of our home place. Our great granddaughter lives with us part time, and I think I am her favorite pull toy. I've just completed my third historical novel, "The Tsar's Locket." As Cliff Claven of "Cheers" would say, it's a little know fact that Tsar Ivan the Terrible once attempted to marry a niece of Queen Elizabeth. My story revolves around a disgraced sea captain challenged by the queen to deliver a betrothal locket to the tsar, his journey plagued by assassination and war. Now to find a home for it! Oh wow, that sounds like an amazing read! I sure hope you find a publisher because I'd love to read that. Thanks so much for spending time with us, Ken! Good luck on your blog tour. At first Reeve dislikes Sarah as much as she loathes him. She's as impudent and disdainful of authority as he, plus she's betrothed to his bitterest rival. It's only after Reeve's closest friend is brutally murdered and the Afghan tribes explode in revolt that he and Sarah discover their desperate need for each other. When the retreating British army is caught between the jaws of Afghanistan's blizzard-wracked mountain passes and hordes of vengeful tribesmen, Sarah and Reeve must rely on their skills, courage, and blossoming love just to survive.